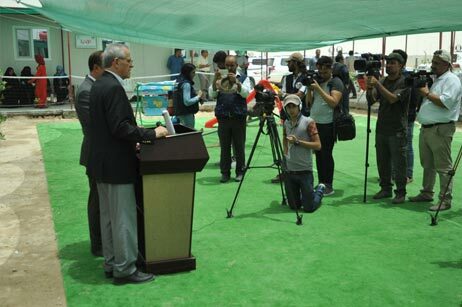 WHO Regional Director Dr Ala Alwan being interviewed by the media at Amiriyat Al Fallujah camp. 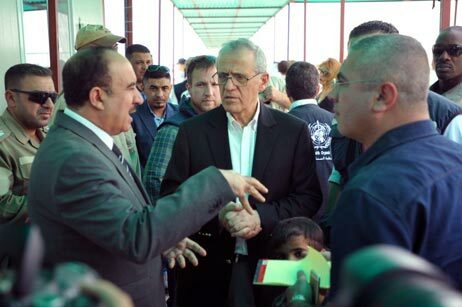 View more images of the Regional Director's visit (UNAMI).Baghdad, 16 June 2016: WHO Regional Director for the Eastern Mediterranean Dr Ala Alwan arrived in Baghdad yesterday to review firsthand WHO’s response to the unfolding humanitarian crisis in Fallujah city, where more than 42 000 Iraqis have been displaced since the beginning of the military operations in the city in May 2016. 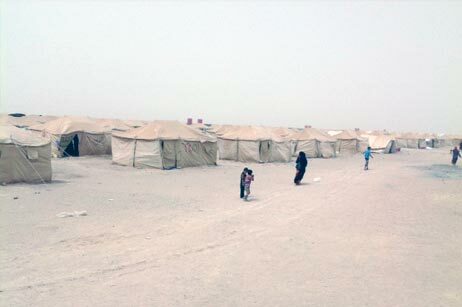 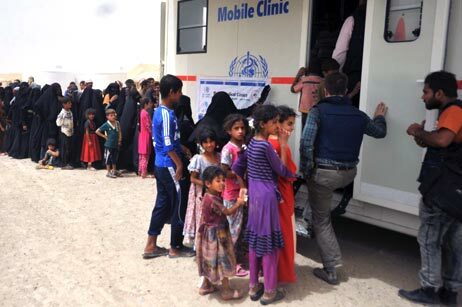 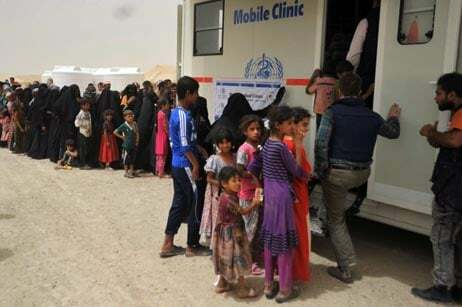 Tens of thousands of besieged and displaced men, women, children and older people face major health risks as they lack adequate access to health services. 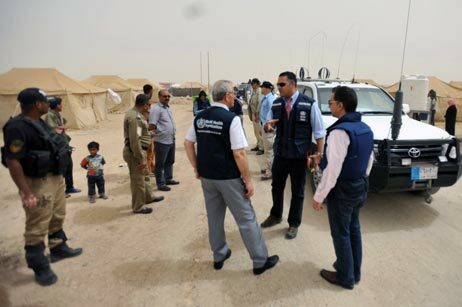 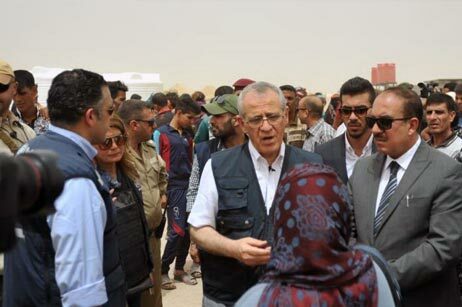 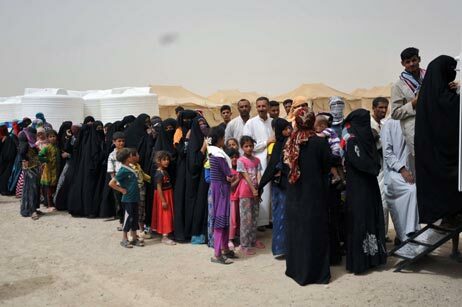 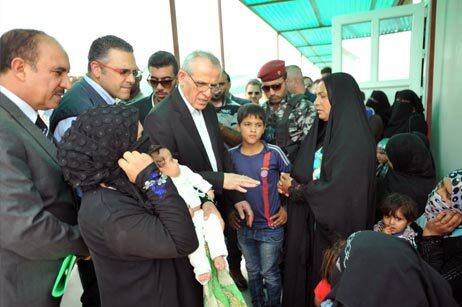 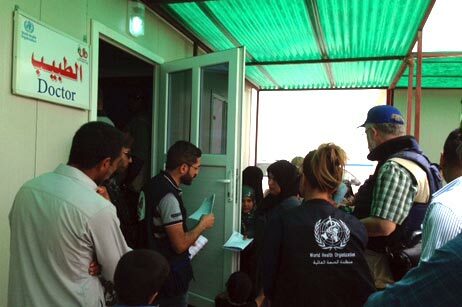 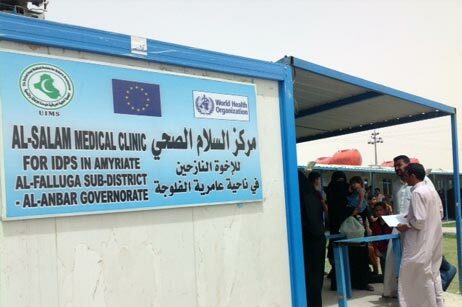 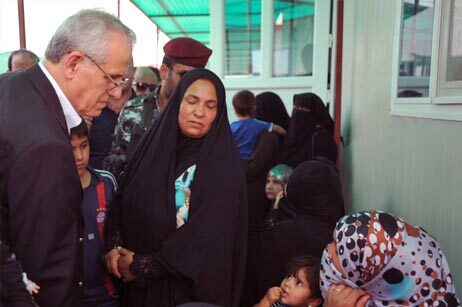 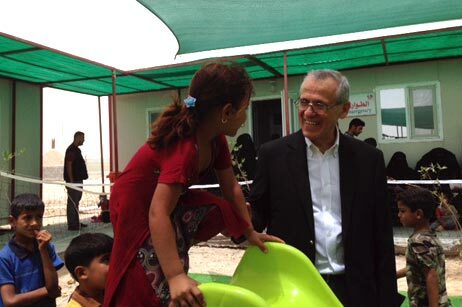 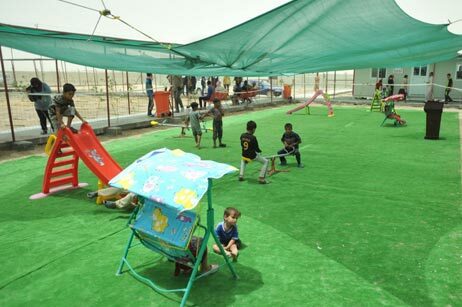 WHO Regional Director’s field visit to camps for internally displaced people (IDPs) in Amiriyat Al-Fallujah, which house more than 42 000 IPDs.